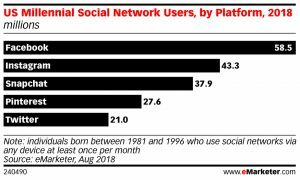 August 28, 2018 (New York, NY) – The number of Facebook users in the US will inch up 0.9% this year to 169.5 million. 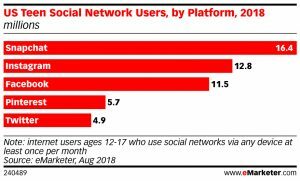 While growth has plateaued, Facebook is still the most used social network among all age groups, except for teens. 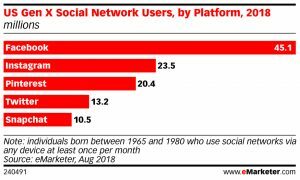 Millennials are individuals born between 1981 and 1996. Gen X are individuals born between 1965 and 1980. 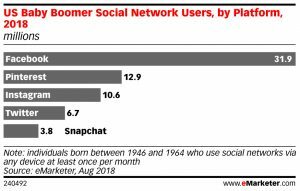 Baby boomers are individuals born between 1946 and 1964.